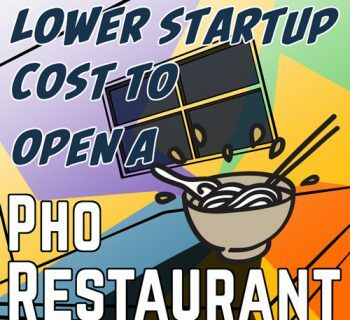 This is Part 2 of Best Practice Inventory System For Pho Restaurant Profit. If you haven't read it, then I highly recommend you check out Part 1 first before continuing here. 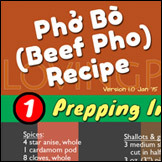 In Part 1 the basics of a pho restaurant inventory system were discussed. Mostly it's about the concept and theory behind a good inventory system. Many operators jump in and start doing inventory without thinking much about what they're doing, why they're doing it, and how to do it properly. So spending some time up front to clearly understand the concept is certainly worth the time and effort. Before implementation, it's important to understand all the key characteristics that enable a solid inventory system. In this post, I'll discuss what an inventory system should and must have. 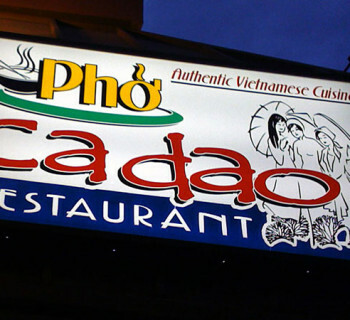 It's worth repeating again that no two pho restaurants are exactly the same. For this reason, I'm keeping things fairly generic. 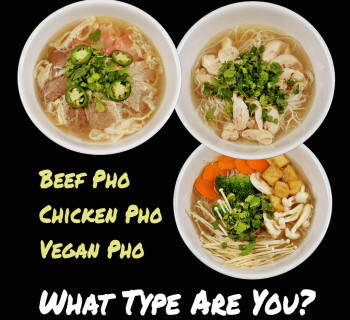 When it's time to implement to a specific pho restaurant concept, each of these characteristics can be customized to fit that operation. For more personalized assistance or consultation, follow the link at the end of this post or write in the comment area and I'll be happy to help. Have a good ordering and receiving system in place. Though it may not seem obvious, your ordering and receiving process/system play an important part in the overall inventory system effectiveness. At the very least you need to work your ordering and receiving system in conjunction with your inventory system. The reason is your inventory should tell you what, how much and when you need to order supplies; and your ordering process (and subsequent delivery of items ordered) dictates how and when you update your inventory. Almost all new orders and deliveries go through the "in" gates of your inventory. Have a clear production schedule in place. 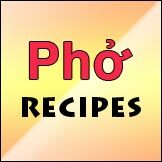 Similar to the ordering system, production schedule (prepping, cooking, etc.) highly impacts an inventory system. 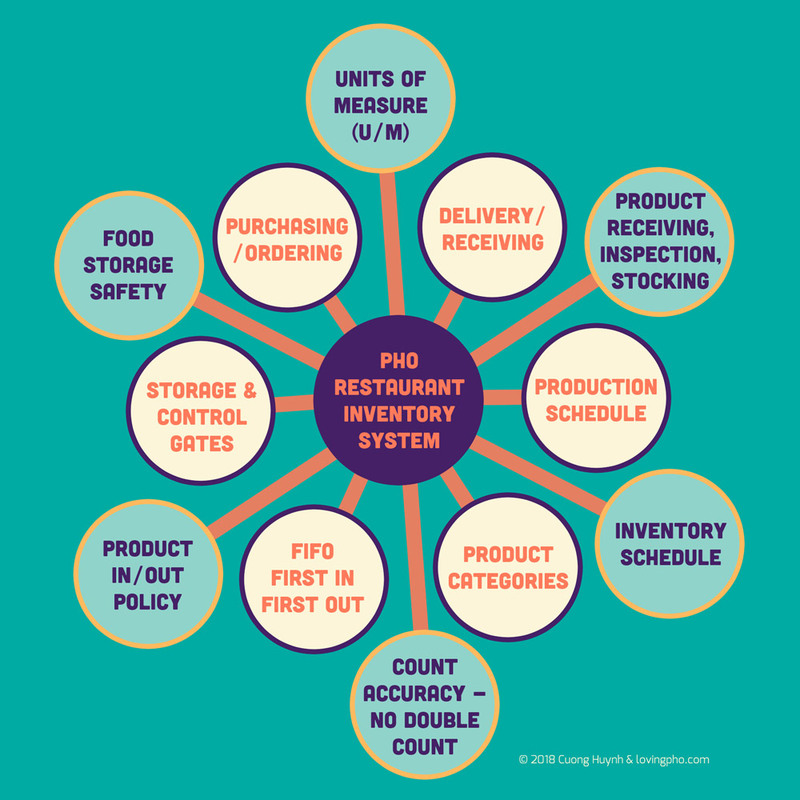 In fact, kitchen production is one of the main reasons why you need a good inventory system. Think about it. Your new supplies are added to your inventory, and your production takes away from your inventory. Almost all kitchen production go through the "out" gates of your inventory. Depending on your business goals and how you count your inventory, kitchen production may also add to inventory as well. Clearly define the different storage areas and their control gates. Effective and accurate inventory means strictly controlling the "in" and "out" gates of an inventory or controlled area. Without clearly defined gates, you will not be able to consistently count and record your inventory. Again depending on your business goals and how you want to track your inventory, both raw/uncooked/unprepared and cooked/prepared products may need to be tracked. Clearly categorize your supplies. Organization means everything in an effective inventory system. At a minimum, each of your inventory items should be categorized so that they are easy to identify, count and be tracked. The most basic level of inventory is by physical areas within the operation, such as freezer, cooler, dry consumables storage, takeout supplies storage, etc. Examples of other inventory categories are long-lead items, special order items, and items that require specific suppliers or vendors. Clearly define units of measure. Inventorying is all about counting and measuring. Unfortunately there are more than one type of measurements for any given restaurant supply item. The correct unit of measure (U/M) you use for each item depends on what stage you're at along the supply chain (external to your operation) and production chain (inside your operation). Each inventory item may have several different U/M associated with it. For this reason knowing what you count, how and when you count them is critical to maintain accuracy, and usefulness, of your inventory. Create a schedule to do inventory. Your inventory system can serve its purpose only if you do it regularly. Each restaurant is different. However, the frequency of taking inventory should be tied to whether the owner understands how to use inventory data and business performance trends to make both strategic and tactical decisions. At a minimum, my recommendation is 2-3 times a week. The reason for this will be expanded on in another post. Define procedure to receive and verify delivery, and to correctly stock new supplies. The accuracy on your inventory system begins at the receiving dock (or back door) of your business where you receive deliveries from suppliers, then with the stocking procedure of newly delivered products. During receiving, you must have procedure for inspection of the product a) against ordering records, and b) for quality, correctness and accuracy. You also need clear procedure for rejecting of products that don't meet expected or agreed to quality and quantity. Once inspection is complete, follow procedure to stock away products in proper storage areas, using established control gates, while strictly following FIFO (see below) guidelines. Follow 100% food storage safety guidelines. For obvious reason, food safety is a requirement in any restaurant operation. Food safety considerations and requirements actually have a large impact on how an inventory system is designed and implemented. Food safety also drives how inventory procedure and training should be carried out. For these reasons your inventory system needs to ensure all products are stored correctly, at the proper shelf height/level, in proper containers, and with correct and accurate labels. Conform 100% to FIFO principle (First In First Out). It's very simple, but for various reasons not many restaurant operators follow this principle. In a nutshell, all this means is the oldest dated product needs to be used first. This ensures product quality and reduces waste. Further tips and best practices for FIFO will be discussed in a separate post. Define procedure to move supplies through the "gates" - from stock to production. This is where things can get messy, products wasted, mistakes made, and in general, confusion can take over. Regardless of if you're in normal kitchen operation mode or if you get caught in a lunch/dinner rush, your crew must still follow all inventory guidelines and procedures. In fact, guidelines and procedures are especially important during busy times to ensure the integrity of your inventory system and to protect your bottom line, which is exactly why you must have a solid inventory system in the first place. You cannot double count any item. This seems obvious and trivial. But the importance of this simple statement lies in the fact that mistakes do happen, and you need to build in procedures to prevent and even eliminate this kind of mistake. If your inventory system gives you incorrect numbers, then it is useless. It can be the difference between having all the products you need to get through a busy lunch rush versus having to inform hungry customers that they can't order retain menu items. So make sure to include "count twice and record once" and other requirements as part of your inventory procedures, then implement a clear and solid training program for those tasks with doing inventory. 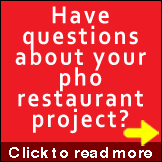 Leave a comment or question below if you have feedback about setting up a pho restaurant inventory system. 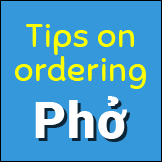 In future posts, I will discuss additional tips and suggestions on how to easily implement and maintain a solid inventory system for your pho restaurant business.